People in San Diego nowadays have become increasingly aware of the spiking crime rates all over neighborhoods. There doesn’t seem to be a pattern, and the most logical way of preventing these crimes before they happen are early detection. When it comes to early detection of suspicious activity or person, the first thing that comes to mind is the surveillance camera, or more commonly known in colloquial terms as a CCTV camera. 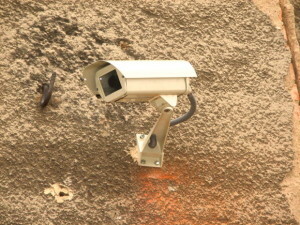 A CCTV camera used to be installed in commercial areas only, such as malls, convenience stores, or parking lots. However, since any private property can be a potential target for someone trying to break in and steal valuable items, homeowners all over San Diego have opted to have a few installed around the perimeters of their home. Indeed, it becomes easier for them to monitor daily activity around the house without being obvious about it. Furthermore, leaving CCTVs turned on while the house is left empty for long periods of time helps in the detection of burglaries and serves as evidence when someone decides to file a case against a suspect. A CCTV seems to be a highly viable option when it comes to securing a home, but is it really worth it to have one (or a few) installed in your house? Read on to find the pros and cons of installing CCTVs. CCTVs do serve their main purpose, which are to monitor the surroundings of your home 24/7. This is especially convenient when you have vulnerable individuals inside your house, such as a child or elderly. CCTVs that are easily seen from the sidewalk or your driveway can be quite intimidating to potential burglars. They wouldn’t risk being seen and caught in the act red-handed. These CCTVs can be deterrents from robberies because burglars usually opt for houses they think are easier to get in to without being caught. CCTVs can be main selling points of a house. Since some CCTVs are quite pricey because of the installation costs and setup, some homeowners would first consider buying houses that already have them installed. Although they do serve their purpose, having CCTVs functional 24/7 can be a double-edged sword. Since your CCTV monitors every activity around the house, this causes the loss of privacy of family members and houseguests. Some people feel uncomfortable when they’re aware that their moves are being recorded on a camera. CCTV installations, setups, and equipment are usually expensive. Others still opt for cheaper alarm systems like the ones used for detecting broken glass windows. CCTV cameras can be a little bulky and interfere with your home decorations. And since you don’t want to interfere with a CCTV’s line of sight, you wouldn’t want decorating its surroundings. Some CCTVs could be easily interfered and could lose their signal, and CCTVs with blurry or sometimes missing footage could be quite frustrating because they defeat their purpose.